Recently I wrote about our campaign to fight for electric grid cyber security. 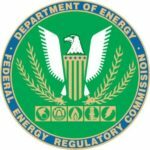 The battle played out last week before an obscure federal agency that most people have never heard of – the Federal Energy Regulatory Commission (FERC). Because, as Justice Brandeis pointed out, there is nothing better than the light of day to hold the government accountable, this fight needs to be made public. Under a law called the Administrative Procedure Act (APA), “each agency shall give an interested person the right to petition for the issuance, amendment, or repeal of a rule.” This means that the public can file a petition with an agency to add, delete or change a regulation. This is how the Foundation for Resilient Societies picked this fight on January 13, 2017. In a petition for rulemaking to FERC, Resilient Societies forced the federal government to finally face the fact that electric grid cyber security is lacking. But just who is the Foundation for Resilient Societies? They are a non-profit organization “engaged in scientific research and education with the goal of protecting technologically-advanced societies from infrequently occurring natural and man-made disasters.” In other words, they are trying to protect us from catastrophic disasters such as a loss of the electric grid from a cyber attack, geomagnetic disturbance (GMD), electromagnetic pulse (EMP) and other threats. 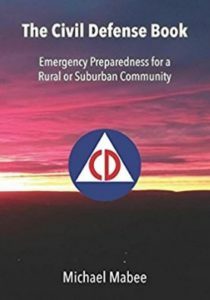 Resilient Societies has been active in petitioning the government to make regulations to protect the electric grid and nuclear power plants from catastrophic events for years. It is clear that for over two decades, the federal government has known about the existential threats to United States posed by the vulnerability of our critical infrastructures – including the lack of electric grid cyber security, and the government has failed to act. 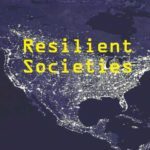 The Foundation for Resilient Societies is one of the members of the Secure The Grid Coalition working to hold the government accountable to protect us. So, with their petition for rulemaking last year, Resilient Societies forced FERC (the government) to consider instituting stronger electric grid cyber security regulations. But this wasn’t going to happen without a fight. You see, as I explained in a previous article, the electric grid regulates itself. The federal government can’t easily tell the industry what to do. There is a mind-numbingly complex process involved. Is the regulator asleep at the switch? Okay. Here is what we know. On December 2, 2014, cyber security vendor Cylance published its “Operation Cleaver” report, demonstrating that Iran-based hackers had compromised at least one U.S. electric generation company. In December of 2016, the U.S. Department of Homeland Security (DHS) and the Federal Bureau of Investigation (FBI) publicly reported on a Russian developed malware tool, called “BlackEnergy.” BlackEnergy was previously identified by the Industrial Control Systems Cyber Emergency Response Team (ICS-CERT) of the Department of Homeland Security (DHS) as being present in America’s energy sector. “Crash Override” and “Black Energy” – the malware that took down the Ukrainian electric grid are a threat to the U.S. electric grid. Recap: Malware is known to have taken down the electric grid in the Ukraine. Malware has been shown to be present in the U.S. critical infrastructures and hackers have gained access to the U.S. electric grid. Check. Amazingly and disturbingly, FERC bought the industry’s argument that detecting malware on the electric grid would be “unduly burdensome” and “unnecessary.” So FERC “declined to propose” that the industry do anything about malware! Did the U.S. government (FERC) really just say that protecting your family’s lives is “unduly burdensome” and “unnecessary”? Is the regulator asleep at the switch – or just too chummy with the regulated? Hmmm. This reporting issue is almost too ridiculous to believe. Obviously there is a huge disconnect. The DHS and the NSA say that 40% of all cyber attacks are directed at the energy sector and the grid has been penetrated by entities that could take down the critical infrastructure. But “the grid” reports few or no cyber related incidents during the same periods. So we did something about it. 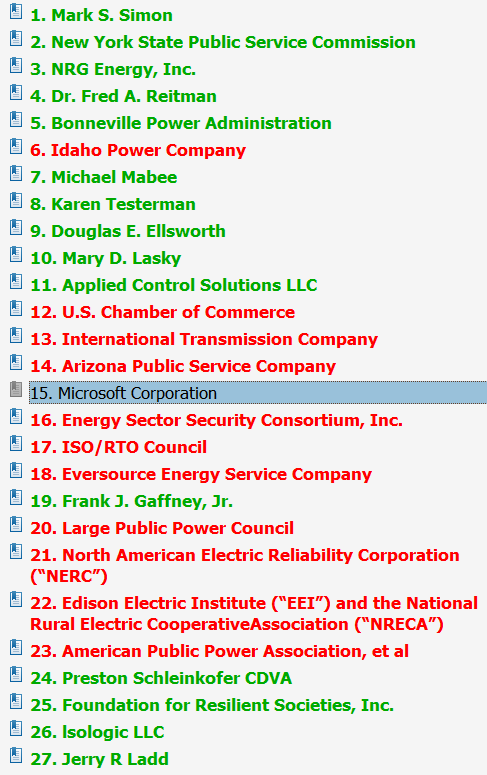 Many members of the coalition submitted comments to FERC in the rulemaking process urging FERC to order NERC to improve electric grid cyber security reporting standards. In order to bring this fight to the streets, we are publishing all the comments on this electric grid cyber security issue below. (Be patient – it is a large PDF file). In the chart to the right, you can see in green are the comments in favor of better cyber security reporting standards. The comments in red are against better cyber security reporting standards. 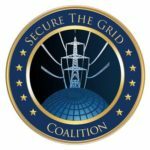 Many of the green comments are from members of the Secure The Grid Coalition. Look for yourself. Decide for yourself. Is your family’s safety and security is “unduly burdensome” and “unnecessary”? If you believe that the electric grid needs to be protected, write to your state or federal legislator. Send them a copy of this article. Tell them that the first job of the government is the protection of it’s citizens. They need to protect us by protecting the critical infrastructures. 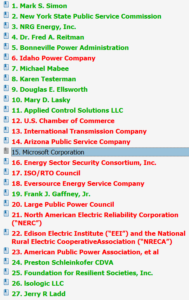 Click Here for Comments to FERC on Electric Grid Cyber Security. The PDF file is 240 pages – be patient. 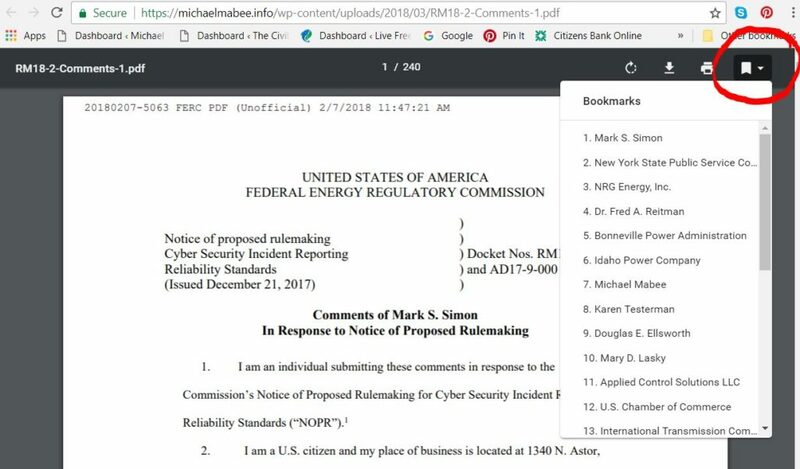 Once the PDF opens in a separate window, click on the bookmarks icon (circled in red below) to navigate. The word “burden” appears 56 times in these 240 pages. The phrase “unduly burden” appears 6 times in these 240 pages.